A few days spent in Napoli give cause for some reflections on similarities and differences with Blighty. At first sight you may think there are few. Think Naples and the immediate associations are decaying grandeur, chaos, the Cammora and rubbish piled high in the streets. Grandeur is right and much has been restored. 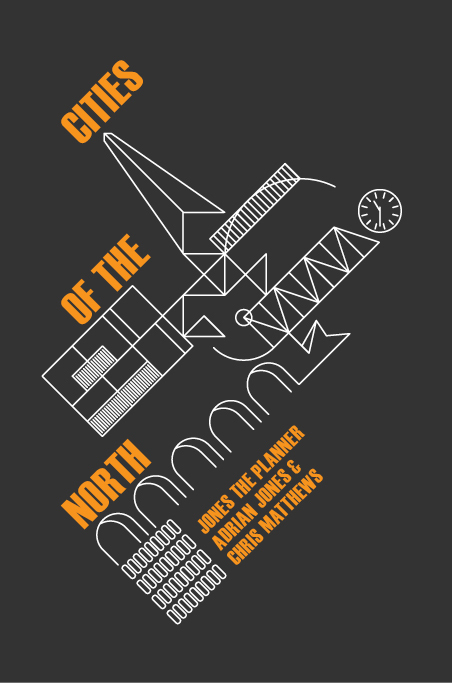 The city is not chaos, rather a very different structure of organisation which is more of a barrier to understanding than the limitations of my night school Italian. Not sure about the Cammora but Naples failed to live up to its reputation for crime and there is very little rubbish indeed in the streets. 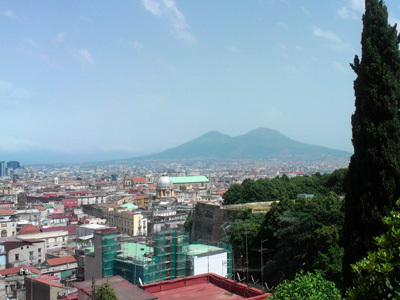 In the C18th Naples was the biggest city in Italy and a key destination of the Grand Tour. The Bourbon kings and the aristocracy built themselves magnificent palazzos. It was a city of rentier consumption and indulgence as can be enjoyed today in the splendour of the magnificent San Carlo opera house, the oldest in Europe. But there was a huge underclass living in desperate poverty for whom the government cared little. Let’s not push the comparison with present day Londra too far but …. . Naples was subsumed into a united Italy in 1860, much against its will, swapping the indolent Bourbons for aggressively incompetent Piedmontese kings who all seemed to be called Vittorio Emanule except for Umberto 1, who gave his name to the grand new Corso slashed across the town. This follows the tradition of earlier occupiers like the Spanish who created the Via Toledo, the main street of the city. 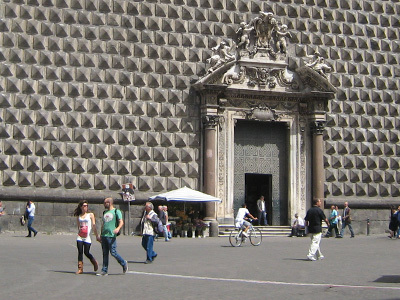 The main squares are called after Risorgimento heroes like Garibaldi, Cavour, Mazzini – a quasi colonial humiliation since Naples and the south was marginalized and impoverished by the new centralised and northern dominated state. 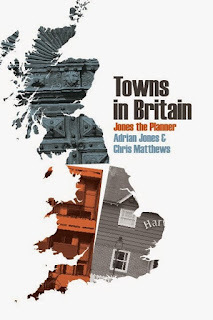 Comparisons with the situation of ex industrial Northern England are not too far fetched. Naples was knocked about a bit by the Allied invasion in 1943 and the partisan liberation of the city, its desperate situation captured in the wonderful but heartbreaking contemporary Rossellini film, Paisa. 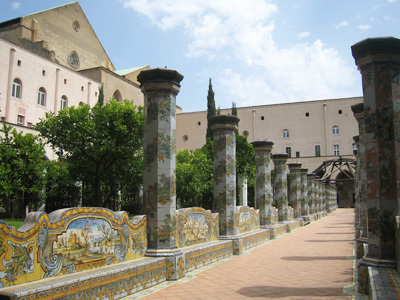 The restoration of Santa Chiara after its bombing is a triumph, very simply done and very moving with magnificent new glass, a real quality of space and sense of peace. You could compare it in feel to Coventry Cathedral although it is not a new build and the magnificent medieval cloisters remain intact. 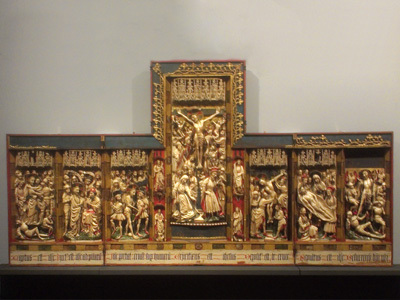 The restored Santa Chiara is so much more satisfying than the acres of Baroque decoration you find in so many Neapolitan churches, but there are also exquisite Byzantine and Renaissance examples too. 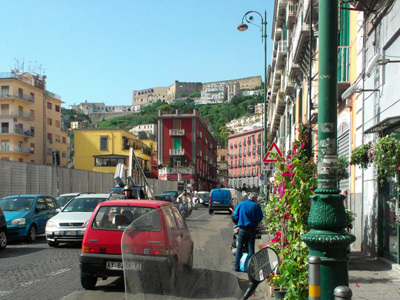 Post war there was industrial expansion but Naples remained a poor relation to the northern cities and does so today. Its culture and way of life is so stubbornly Mediterranean that at times the trappings of Italian formality and the officiousness of the Italian state seem like a very thin veneer. Interestingly this poor metropolis seems to integrate immigrants much better than the richer northern cities, and there is a relaxed and tolerant feel to the place. Naples, a former capital city, does magnificent palaces, museums and art galleries, lots of the stuff looted from elsewhere just like the British Museum et al. 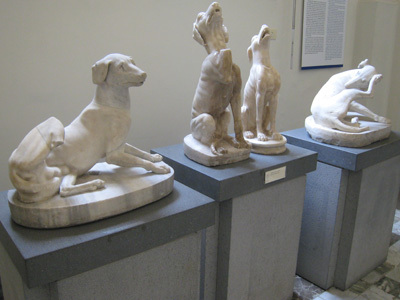 The Archaeological Museum has a tremendous collection of Greek and Roman, where you find statuary of 200BC that is copied from earlier Greek originals, which is fairly amazing. 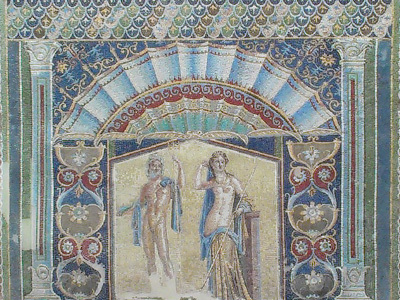 Most of the exhibits in the current BM Pompeii and Herculaneum exhibition come from here but represent only a tiny fragment of the Napolese collection. The city nestles under Vesuvius and now it sprawls around the famous bay (even finer than Swansea Bay) looking towards the magical islands Capri and Ischia. 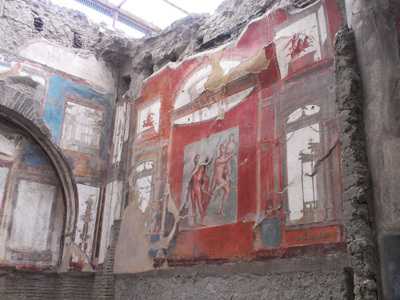 Herculaneum is effectively a suburb of this metropolis of 2 million people or more. The first sight of the excavations is stark, the initial thought is of Dresden after Bomber Harris, but exploration of the ruins is very rewarding. As with most Italian cities there is a striking contrast between the urbanity of the Centro Storico (Naples has the largest designated area in Europe) and the formlessness of much of the more recent suburbs. Surveying the endless blocks of lowish rise flats peppered with warehouse retailing, roadside restaurants and filling stations it will not be a surprise that Italy consumes four times as much concrete as Britain. Later in Amalfi our hotel owner talked about the difficulty of getting planning permission – so many layers of government, conflicting laws and as he nicely put it ‘too many people eating’; it all sounded like the rhetoric of Pickles and Boles but actually as in England Naples needs more planning rather than less. Naples is unusual in that it has a new business district north of the Stazione Centrale, the Centro Direzionale, an Italian version of Canary Wharf without the water. It was designed by Kenzo Tange in 1982 and it looked pretty arid from the distance I saw it. By contrast the Centro Storico is teeming with vitality. The wonderful thing about Italian cities is how the historic centres are continually adapted and reused. We stayed in a magnificent C17th palazzo converted to apartments high on the hill overlooking the city. Naples is certainly not a tourist town and many of the buildings are very run down, but still lived in, with local shops, bars and restaurants – a very different scenario from the decline of the English high street, although the grand Galleria opposite the Archaeological Museum is sadly empty. There is an even grander Galleria Umberto 1 (who else?) next to San Carlo which is open 24/7, raggazi playing football in it at midnight. Now that is inconceivable in England. The Risorgimento brought with it a lot of architectural bombast in florid stucco lining the grand new Corsi. New quarters for the middle classes were also built like the Chiaia district with its seaside esplanade (although you dare not cross the road to reach the actual seashore). The Vomero area on the hills above the city, reached by funiculare, has something of the feel of Eixample here but without the genius of Gaudi. You can see a direct line from the Bourbon extravagances via the Risorgimento state asserting itself to the impressive futurism of the Fascist era and the post war public buildings and banks on the Via Toledo. Mussolini was famous for (allegedly) making the trains run on time and the Ferrovia Statale is still one of the great joys of Italy. The trains are cheap, fairly reliable, and at least are honest when ‘in ritardo’ (unlike the bizarre British practice of ‘retiming’ wayward services). I love the lugubrious announcements. Napoli Centrale has the remnants of an elegant stripped down 30s classical station like the wonderful Florence Santa Maria Novella, but the concourse has been replaced by an anonymous glassy effort such as Network Rail would think appropriate. 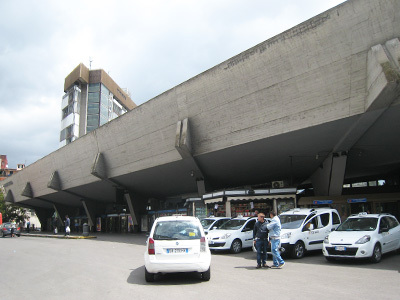 For a more gutsy façade go to the Circumvesuviana station, terminus of the quirky narrow gauge suburban lines which go to Herculaneum and Pompeii. 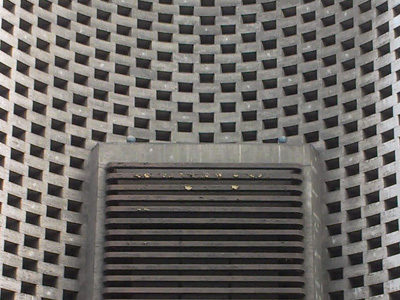 This has a wonderfully uncompromising Brutalist façade, but I think dates from 1937. 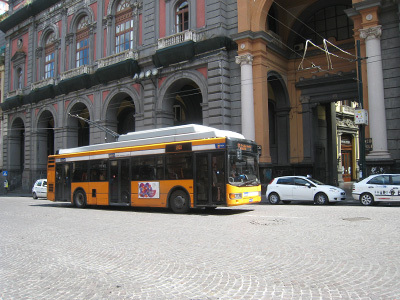 The Circumvesuviana, which does not quite do what the name suggests, is part of a complex and eccentric public transport system for the Naples metropolis. There are underground lines, metros, funiculars, trams, trolleybuses, buses, electric buses - but virtually no information. Metro lines don’t connect and buses are a mystery. Even getting to main attractions like Capodimonte, one of the finest art galleries in Italy, relies on the kindness of strangers to tell you when to change buses. What Napoli desperately needs is a Frank Pick, a Harry Beck and a Ken Livingstone. There are integrated tickets once you have found the right Tabacchi but it seems a point of honour not to sell them at stations or especially on buses. There is also some information online – with much searching you will find a map and even timetables (sort of – like the airport bus runs every 22 minutes – thanks a lot!). What you will never find is a public transport map or timetables at bus stops or even at underground stations. The Circumvesuviana timetable is a heavily guarded secret. This lack of integration has been recognized and new metro lines are under construction. In time dramatic new stations designed by Richard Rogers, Future Systems and others will emerge. But really the key requirement is integration of information and a uniform house style, one thing at least London has got right. So getting around Naples is hard work, but at least the fabulous funiculari, subject of the famous popular song, work like clockwork which is sort of what they are. Naples is a city very much in love with the car and, as with Mrs Thatcher, using public transport and, worse, walking is seen as social failure. This class conflict is played out on the streets in a fairly terrifying fashion as crossing the road requires even more balls than in Rome. You just have to believe they will stop and they do at the very last moment. There are pedestrian zones where the traffic becomes slightly sheepish about its dominance but what really pisses you off is that cars just park all over the pavements. All this is very different from some other Italian cities like Modena where walking and cycling are the normal way to travel. 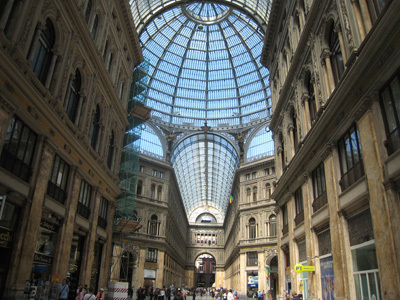 Naples is a great city, a fantastic urban experience, an unjustly underrated city. But would its tremendous vitality be undermined by a more civilised approach to traffic management? The experience of its historic streets and squares and the relationship with the Bay could be much enhanced if cars took second place to pedestrians at least sometimes. And you could enjoy so much more of Naples if its public transport system was more user friendly. But then maybe it would not be quite the exciting Naples that is it today, nor such a colourful contrast to the gloom of Coalition Britain. whoops that link should have been absolutely no-one around. Love Naples. I went around with a friend of mine from the city and I think that helped negotiate the metro and so on. I certainly preferred travelling that way to the suicidal taxi I got from the station who lived up to every stereotype of Italian driving there is. My friends apartment was centrally located and the traffic was horrific around his block. But at 8am on the dot a police officer would step out into the chaos and suddenly order was imposed for precisely half an hour after which he would step back on the pavement and the carnage would re-commence. Also, warm sfogliata - best thing ever. For me Centro Direzionale brings more to mind La Défense in its collision of 70s-leftover brutalist megastructure with 80s-90s mirrorglass po-mo and monumental axial planning. The vast central deck is particularly reminiscent of the Parvis, only without the Grande Arche looming over it all. Still prefer either to Canary Wharf's miserly, pinched 'public' (ie. not actaully public) spaces.